This weekend I went apple picking at Chudleigh’s, an apple farm in Milton, just west of Toronto. I only moved to Toronto two years ago; however, I have the impression that picking apples at Chudleigh’s is a bit of a tradition for many people who grew up here. The farm is over 100 acres and has approximately 28,000 apple trees. 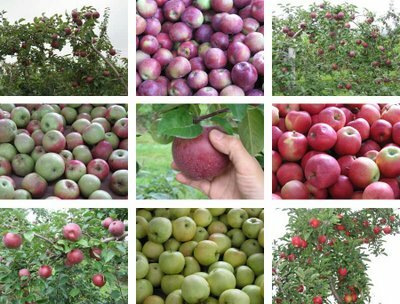 Apple picking usually begins in mid-August and usually winds down in late October. This year I decided to go early and a bunch of my favourite apples were ready to be picked. The variety of apples that I picked this weekend were McIntosh, Royal Gala and Spartan. Last year, I went in mid-October and I picked Jonagold and Russet’s. 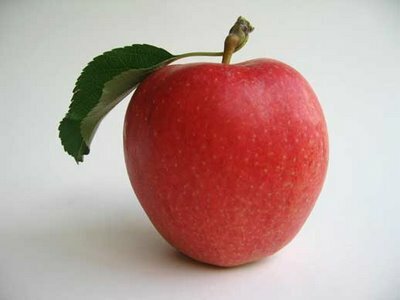 With a wide selection of apples which include: Tydemans, Wealthy, Ginger Gold, McIntosh, Spartan, Gala, Cortland, Empire, Red Delicious, Honey Crisp, Golden Delicious, Northern Spy, Jonagold, Russet, Mutsu and Fuji, Chudleigh’s is definitely the place to go apple picking. I had a great time walking around the farm choosing, picking and eating apples and enjoying the fresh air. With three large bags of apples in my apartment, I am positive you will be seeing an apple dessert post sometime soon. Posted by Sam at 9:41 p.m. I just walk by and find how amazing your blog is. So many beautiful pictures and delicious recipes! You must be a talented chef and photographer. I'm an Ophthalmologist in Taiwan. Please keep blogging. Your blog is really eye-catching! May I put it in my side bar? Please! I didn't even know there were so many apple varieties!! I have a basket of apples I bought this weekend...so please hurry!! Wow, I am envious of all the apples you get to choose from! Definitely looking forward to what you're going to create with them! Thanks for visiting and for all your sweet comments. I really enjoyed apple picking. I enjoyed it so much, I think I might have to go back in a week or two for some different apple varieties.